In these intimate Saturday morning seminars, each of our analysts will give voice to the ideas they find passionately and ethically engaging. Each seminar will involve short presentations or lectures, some with PowerPoint and use of cinema or other media. The presentations will be followed by group discussion focusing on the challenging questions that we as clinicians must face in these times. The New School faculty will be in attendance at each of the seminars. February 28, 2015 Clinical Perspectives of the Intergenerational Transmission of ‘Real’ World Trauma. Space is Limited to 10 People, So Early Registration is Encouraged. …and you may see that the blot on the floor is a skull gazing back at you. 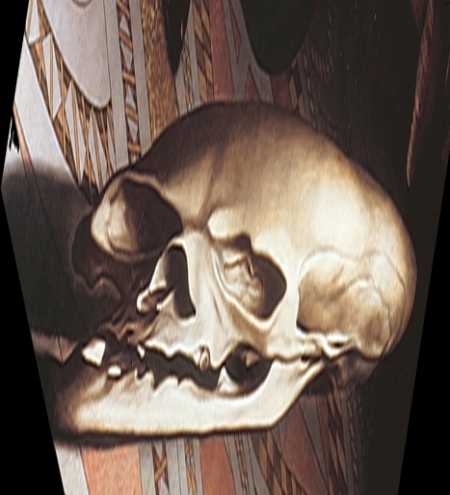 The viewer must be willing to search out this unexpected and neglected perspective in order for the anamorphic skull to be revealed. This reminder of Death undercuts our commonplace assumption that we have mastery over our lives and our discourses. This seminar hopes to illuminate the psychological, inter-subjective, cultural, and historic depictions of the ‘Divine (Feminine) Presence’ of Shekhinah, as the embodied face of the suffering soul of humankind and of the earth. We’ll expand upon these ideas by drawing on the genius of Jewish mystics like Nahman of Bratslav and Isaac Luria, who share common ground and differences with ‘post-secular’ philosophers Derrida and Levinas, and psychoanalysts Bion, Eigen, and Jung. Underlying their metaphysical ideas is the humble recognition that all thoughts and texts are subject to constant revision and uncertainty—like life. This attitude deconstructs those “essentialist” precepts that assert a superior, final truth, or that tyrannize the weak, or that presume to know what is incomprehensible and infinite. In our post-modern age, the psychology of ‘soul’ is not founded in fantasies of unification. That is the paradisiacal illusion of the child-ego. Our analytic attitude must hold our patients’ narcissistic shattering and nothingness, suffering and shame, and a deep acceptance of the ‘kenotic’ process, that may, in fortunate cases, release sparks of creative life from their imprisonment in husks. Lecture and Powerpoint, a film excerpt and rich discussion, will weave through the seminar. The ghostly and the monstrous in literature and philosophy remind us that there is something enigmatic and uncanny about human being that escapes coherent narrative discourse – the ghost in the machine that disrupts the smooth workings of our lives! At a time when clinicians are feeling pressured to conform to diagnostic criteria and short-term treatment plans, the unique individual who appears in our consulting rooms is at risk of being lost. How do we think about working with subjectivity that cannot be reduced to any particular attribute, diagnosis, or narrative? This seminar will explore singularity and its relationship to the uncanny, the monstrous and the non-sense of our unique lives. The implications for clinical praxis will be explored. Reading materials will be provided at least a month in advance of the seminar. In this seminar we will explore some of the meanings and dimensions of shame and temporality, including recent findings in neuroscience. A clinical case will illustrate the movements of the temporal dimension within an analytic process. Readings will be required of attendees, and will be sent out via E-mail at least a month prior to the seminar. 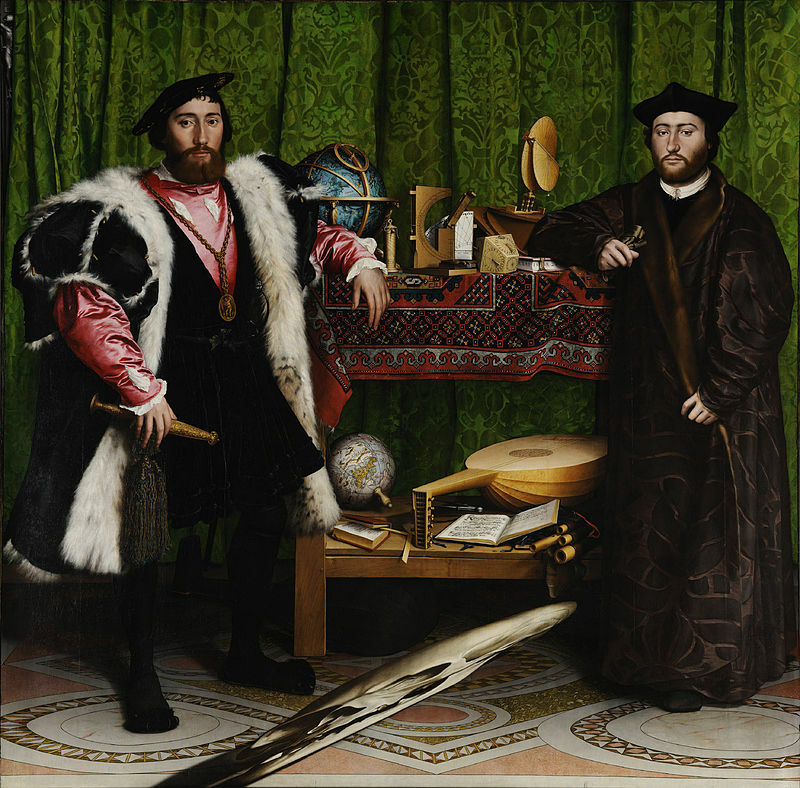 While psychoanalysis has long recognized the relevance of the individual’s personal historical situation it has generally neglected the wider contexts of the patient’s life that have crucial constitutive influences on subjectivity. These include macro processes such as world history, culture, technology, politics, economics and local-social factors. The utter realness of world historical processes impacts both patient and clinician in a web of intersecting worlds as each of us is a psychic Petri dish containing what is estranged from our social discourses. The psychoanalyst needs to be open to and curious about the movements of world history, history in all of its terrifying realness in which we are all tragically enmeshed (Benjamin 1968, pp. 257-258). As such, the catastrophic effects of real world history (including and exceeding trans-generational trauma) can be expressed in the transference through the experience of absence, après-coup and the drives. In addition to an introductory theoretical discussion that amplifies these concepts, I will use a historiographical case illustration that cuts across the socio-psychological- historical and geographical fault lines of three continents. The patient’s catastrophic excess deeply affects the analyst as the personal and world historical reverberations of genocide manifest themselves clinically. The gap between thought and life is confused. Whose thought? Whose life? The past is present and the undead materialize. Flash memories of the rubble and empty silence return and the physical and metaphysical remainders of mass destruction take up residence in the analyst who was not yet born when the world was at war. The Location of all the seminars will be in the home of Sharon R. Green, on Capitol Hill. Details will be sent to participants upon registration. 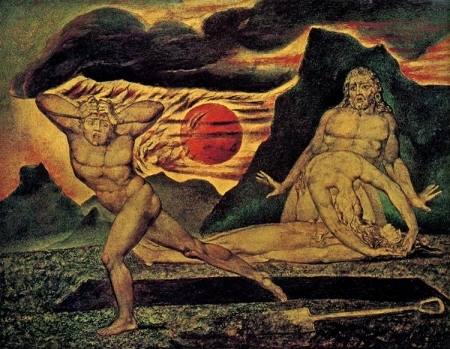 TWO-YEAR CERTIFICATE PROGRAM is planned for Fall, 2015.
by William Blake, 1805-1809. A commentary on the course of history, post-garden. Robin McCoy Brooks is a Jungian psychoanalyst and clinical consultant in private practice. She has written a progression of articles that attempt to clarify her interest in the phenomenology of subject formation and its traumas to include the wider contexts of a patient’s life. These include processes such as history, culture, technology, politics and economics . Robin recently completed a chapter that will be included in The Psychoanalysis of Evil: Perspectives on Human Destructiveness and Integrity (Routledge 2015). Excerpts from this chapter will be used in her seminar. Her interests include the intricate relationship between psychoanalysis and philosophy, post-Lacanian thought and ethics. Sharon R. Green is a founding member of the New School for Analytical Psychology and the Seattle Lacan Study Group. She is a graduate of the North Pacific Institute for Analytical Psychology in Seattle, WA. She is a Jungian psychoanalyst who practices, teaches and consults in Seattle. Her articles and reviews have appeared in the Journal of Analytical Psychology. Sharon’s ongoing interests include the ethics of psychoanalysis and the intersection of art, literature, philosophy, and psychoanalytic praxis. Kenneth Kimmel is a Jungian psychoanalyst, author, and teacher. He is a member of the Inter-Regional Society of Jungian Analysts and co-founder of the New School for Analytical Psychology. He has authored Eros and the Shattering Gaze—Transcending Narcissism, and a chapter entitled, “Dreaming the Face of the Earth—Myth, Culture & Dreams of the Mayan Shaman,” from the book, The Dream and Its Amplification, (Fisher King Press, 2011, 2013, respectively.) Ken has engaged in a twenty year-long study of the mystical tradition of Kabbalah and its interface with psychology and philosophy. 1. To unbind psychological thinking from rational/cognitive/secular reasoning through consideration of post-modern philosophical ideas, ethics, and mystical systems. 2. Explore the psychological, ethical, and cultural significance of enigmatic ‘presence’ and the ‘inter-subjective Third’ in Jewish mystical tradition. 3. To compare and contrast the ‘mystical’ thinking and personal and enigmatic experiences of noted psychoanalysts and philosophers. 1. The participant will be able to identify three macro level processes that have crucial constitutive influences on subjectivity. 2. The participant will be able to identify three manifestations of psychological distress that can be attributed to the impact of world history on the patient. 3. The participant will be able to articulate the role of ethics in the treatment of trauma that is related to world history. 1. To better understand subjective singularity and its relationship to the negative – i.e. the ghosts, monsters, and enigmas that escape narrative discourse. 2. To better understand the clinical implications (e.g. transference, counter-transference, ‘goals’) of working from the perspective of the singular subject. 3. To be able to articulate the ethics of the singular individual.